First… I felt COMPELLED to do this. There was this “little voice” that kept saying “do it”… so I did. I believe it is time the generation I was born into, a generation that has truly never known “want”, a generation who’s poorest among us still have MORE than most residents of the rest of the world to learn more about our national roots – what exactly did the founders do that impacts us through this day? What were THEIR principles? AND do these principles still apply today? Is it even worth knowing and thinking about our Founders and the Constitution they created? Speaking for myself, I have always had a burning curiosity about who the American Founders were and why they opted to “take on” the worlds greatest military force of its day. I remember learning in school some simpleminded explanation of how the colonies defeated the British. I don’t know about you, but I always thought there was “more to the story“. 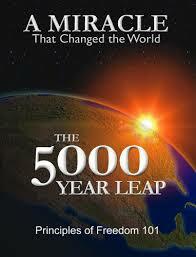 In this video essay, I share key passages from “The 5000 Year Leap”, a book written (way back) in 1981 by W. Cleon Skowsen, a man born near the beginning of the 20th Century who lived to see many changes in his life and was fortunate to see the first years of the 21st Century. After viewing the video, I truly welcome your thoughts and insights. I am even willing to remake the video if you feel I did not do the book or its message justice. You can leave a reply below. Know that there are more videos to come on this topic – it truly WILL be a video series. I offer these thoughts as I travel the nation as a “Full Time RV’er” – a lifestyle I truly enjoy and highly recommend. As we begin to look at the 28 principles our nation was built upon, I encourage you to consider whether these principles still apply today. AND if they do, are we living up to them? Future videos coming in this series will look at these principles – and as I did in the above video, I will share the principles in the Founders own words and then offer my own commentary. As is the case with this post, I welcome your thoughts and feedback. Please use the “reply” section below. I am writing this reply because I wanted to make sure I am not somehow missing this series. 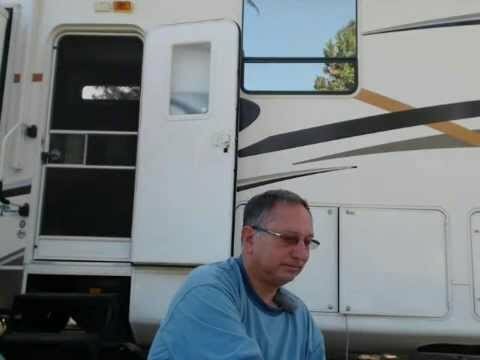 I found you on youtube, and subscribed to your channel, because one day I plan on living in an RV full-time as well. I came across this video and was intrigued. I will be ordering the book and reading it for sure. I noticed that there are several people who have done a series on this book, but I liked your presentation and wanted to make sure you still plan on doing this series. I ask only because I noticed the the first video was posted 8/29. I am not in any hurry mind you, I am a slow reader and sometimes I get distracted and do not read near as much as I would like. I just wanted to know that you are still going to do the series.